and quality of production which always left with me a wistful nostalgia for it. of Hidden Kingdom at least, these were strengths and not weaknesses. and this unique game is available once more. well as those who are fascinated by the phenomenon of early-era rpg games. who may not prefer the genre. 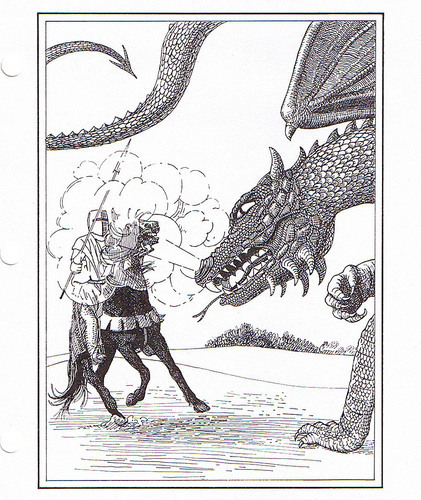 Then too, there are the interior art illustrations. Trampier, Darlene, and Paula Lamb. from the least known to the luminaries. who gets to play King Arthur will be a contentious matter at some game tables. systems that understood itself as such without sacrificing logic and excitement. So, here is the text of Gene's discussion with me concerning Hidden Kingdom! 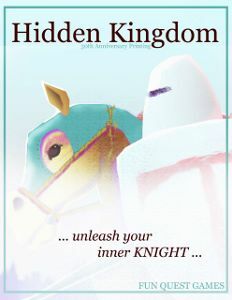 to give Hidden kingdom a return voyage, Gene. So, please tell us a little about yourself. some War Gaming, lighter stuff generally but moving to some heavier stuff. And my kids have been playing Hidden Kingdom with me. Dragons, or some other game? Traveller were the main two. it then in the area where you first got into it. war games) are much better today than 30 years ago. I think that this is where Stan meets the gaming culture. He is geek. and I played some D&D with him. And he wrote his article. think any RPG is perfect or ever finished. some of wisdom of Stan and Jon in this regard. know if anyone has one anymore. philosophy in this sort of game design. better address the particular genre than a generic system could. between the Christians and the Pagans. very quickly in-game, if you read the stories single combat sometime took all day. leave it to the imagination and discretion of the Game Guide. to have a system more fitting for a long campaign. Hidden Kingdom has one of the more unusual alignment systems we've seen. Could you give a brief description? person defines what is good and then tries to be that – or rejects it. committed or the Adultery, but he still had a great relationship with God. many people in the Old Testament. go through life about who we are really serving. So in the game we wanted to show the conflict within each of us. believers weigh their goals more toward Power or Faith, rather than chivalry. the northern nobles in an effort to hide his sin with Morgan le Faye. the King and the King is the Land, or as the leader go so goes the people. well in short period of time. involved with the design? Was she a gamer? continue to use the art. 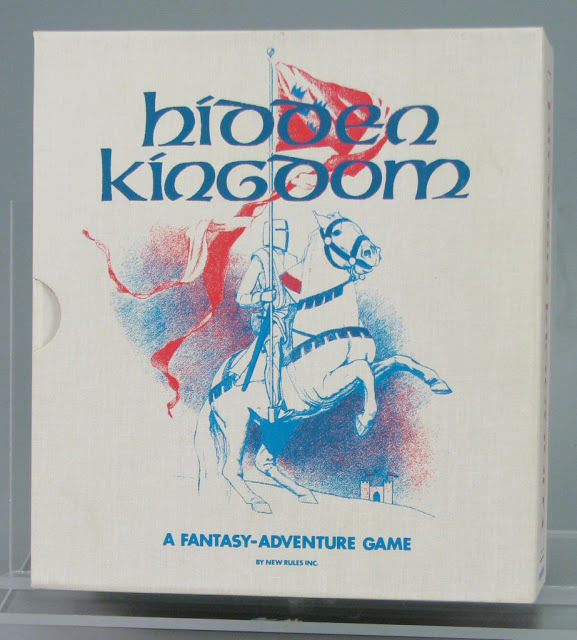 but you have mentioned that Hidden Kingdom was actually a precursor. hindered us on a business level too. Greg Stafford and the Pendragon people have been very kind and supportive. assumptions about culture built into the game that may or may not be true. Norman Knightly Culture, as is HK, but with Pendragon even more so. culture today than they were 30 years ago. game audience is it suited? Is it a good game for young people? per-generated. This is something some experienced players have trouble overcoming. in regard to this. There are a lot of reasons. Generation System would take away from that period feel. understand why it is not best for HK. One of our purposes was to drive players into history and literature. Playing pre-generated characters will help do that. of Antiquity Volume 1 Supplement. I will put in more as the game develops. added shield walls with the new troop types, but they are not all powerful. Driven Battles, not the CnC system, but on that level of complexity maybe. other games, and is attended by innate perils. Tell us about that, please. this in the Druid Practice of making sacrifice, including human sacrifice. in D&D. Christians often use magical things in the game, but they do not practice magic. This is a very hard system to work on within the context of this game. and roleplaying in specific encounters, am I correct? weird and for the most part to be ignored. 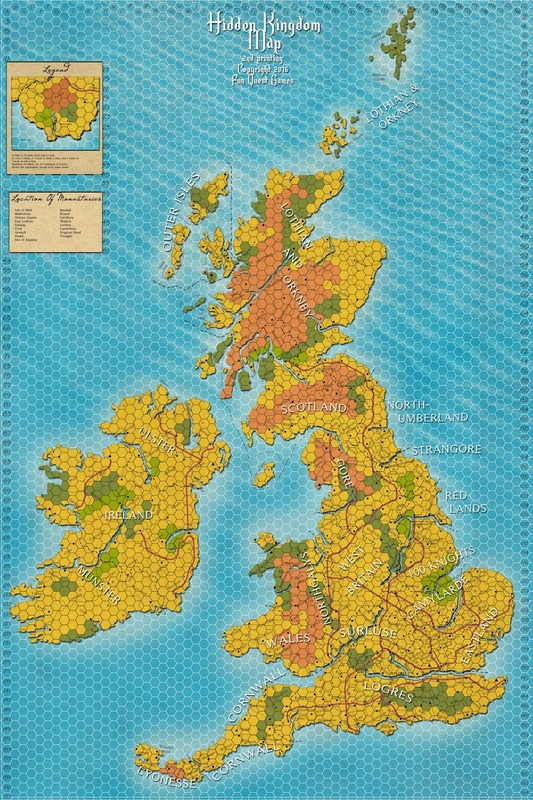 thoughts on roleplaying games forty plus years after their popular advent? alien to me. Being a dad has kept me away from many games I used to love. Command and Colors Games, and other light war gaming. actually think you can make a game simpler and have a more realistic feel. And when roleplaying it needs to be about story and feel, not about rules. feel like you are there. charts that cover everything that used to be on the sheet or in the rules. photo paper and sent to you in a tube. Edition soon and replace it with a 3rd printing that will be the standard edition. I have a lot of plans for the game. adds 4 new characters, 3 new soldier types, and some special magic items. to a full page in HK. This module I am writing may be a dozen pages or so. than jousting, a knight can never be killed with one swing of the sword. they need to be done together. Another area of expansion will be magic and miracles. adding more detail to what is already there, perhaps create encounters with them. There are plans for a game map that includes parts of France and maybe some other areas. the Ladies more involved, and to make some solitaire options that work. experiences from one of those early games. people were watching; everyone was caught up in it. this game more widely available again! need to pay with Paypal or check. We can be found at Fun Quest Games and Fun Quest Games has a Facebook page. The new map does have a grid numbering system so you can still ID a location, just not numbers in every hex. It was too labor intensive on the budget I am working with. When I update the supernatural intervention rules I will put in Merlin and some other people that may have a strong supernatural influence. There has always been some disagreement on how to portray Merlin. Stan sees him as kind of a prophet and maybe even a Christ Figure to some extent like Gandolf in LOTR and as portrayed in C.S. Lewis Space Trilogy. I tend to see him as more of an apostate and representative of the apostate church. Gene, thanks for the clarification. Still an awesome map, and I actually like Merlin's role as given in the game. He is the Game Guide's character.